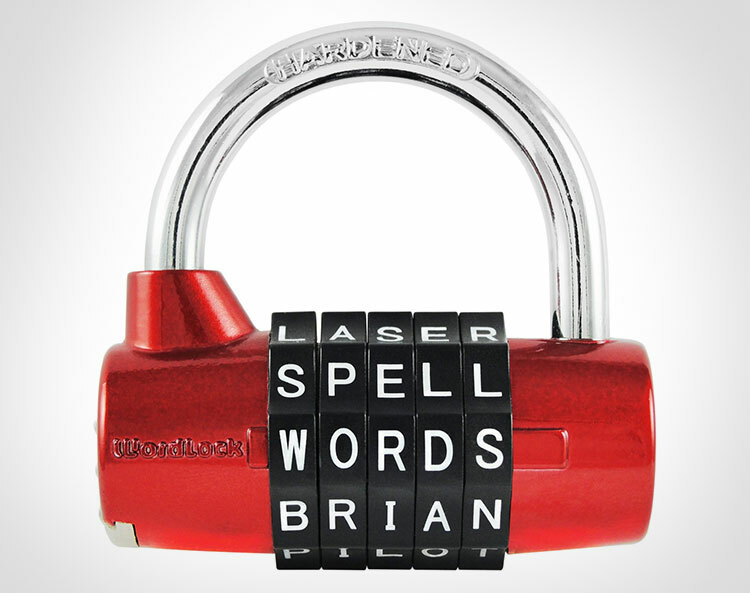 The Word Combination Lock is a combo lock that instead of numbers uses words to protect your crap that no one wants. 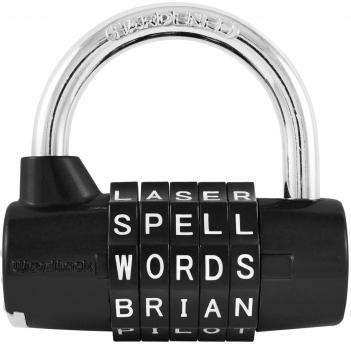 Perfect for the person who can't remember 4 numbers longer than 5 seconds after they create the combination, the WordLock 5 letter combination is able to create up to 100,00 unique word combinations which you can reset whenever you want to a new word, so you'll never have to remember numbers again. 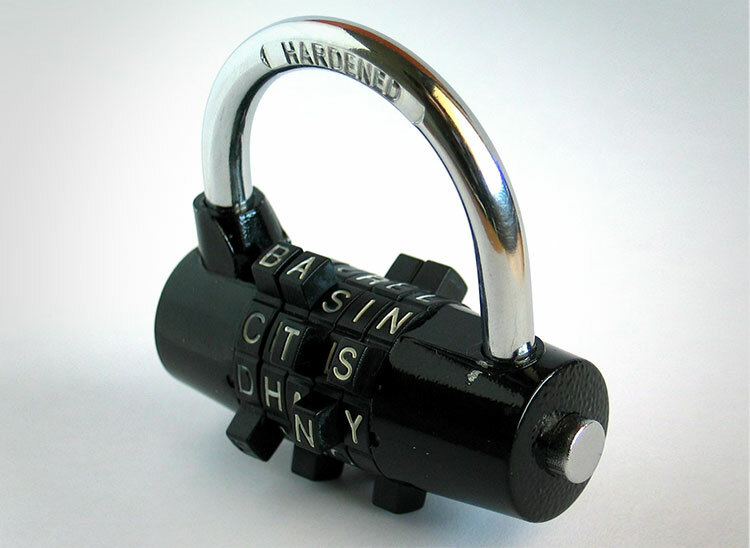 The word combination lock's shackle and body is made from hardened steel, comes in black, grey, pink, or red colors to choose from, measures 5.9 inches wide x 3.8 inches long x 1 inch deep, and the shackle on the lock measures 0.25 inches thick. 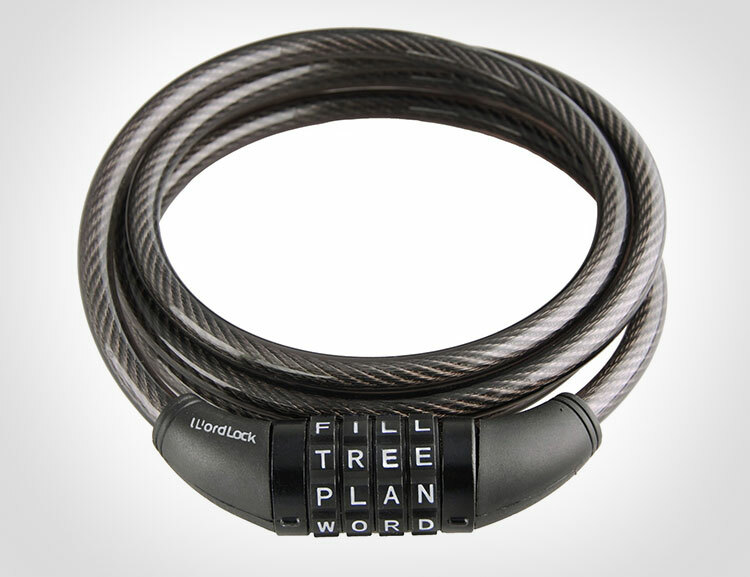 Click here to check out the word combination bike lock.